The Hillsborough Area Regional Transit Authority (HART) has selected Love’s Trillium CNG to provide complete operations and maintenance services on its compressed natural gas fueling station. Trillium will also complete a series of upgrades to the existing facility. Trillium took over the operations and maintenance services this month, and the upgrades are scheduled to begin in the coming weeks. 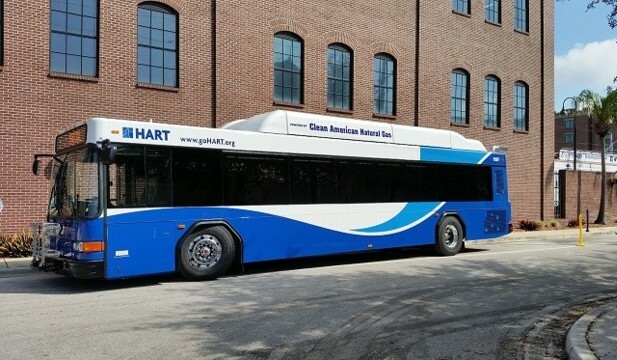 HART operates 34 CNG buses, with an additional 25 CNG buses to be delivered in fiscal year 2017, in addition to 39 HARTPlus vans, a service that provides transportation for people with disabilities, and eight HARTFlex vans, an on-demand van service within defined geographic zones of Hillsborough County. CNG vehicles replace current diesel vehicles when each reaches the end of its effective life. It will take three years for the fleet of vans and 10 years for the fleet of buses to transition to CNG.